Season 11 of Dr. Who has come and gone, leaving fandom more divided and polarized than I have ever seen before. The tragedy is that back in October, 2018, this wasn’t the case at all. As far as I could see, everyone seemed pretty much united in support of Whittaker and Chibnall, apart from the naysayers who we duly dismissed as a loony fringe and little more. So, how did we get here, and what’s all this complaining about? Let’s lecture the audience, as everyone LOVES that, right? In my case, the dissatisfaction starts with fundamental aspects of the show being altered, like the Doctor’s core character traits. And for some unfathomable reason, creating entertainment is taking a back seat to propagating ham-fisted political messaging. 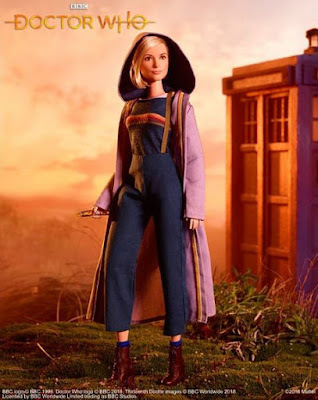 I say unfathomable because, for the life of me, I don’t understand why casting a woman as the Doctor (which really proved to be a bit of a non-issue) had to go hand in hand with paper thin, weak storytelling. My guess is that even the fans who liked the season, didn’t so much like it, but rather, strongly agreed with the political messaging, and so ignored the many problems in favor of applauding loudly. What's more, there’s also an ongoing subtext that if you didn’t applaud, then that’s because you’re an immoral, racist, sexist deplorable. So my question to Chibnall is, who on earth does he think he’s lecturing? What exactly are ‘These Times’ we’re living in? Ask yourself, do you actually know ANYONE who looks down on someone for something as arbitrary and random as the color of their skin? I don’t, and I’m going to bet you don’t either; because apart from being an abhorrent point of view, it’s also completely socially unacceptable. Those are the times we’re living in, and hurrah for that. The reason why Bradley Walsh’s Graham is one of the few standout successes of the season is because he's a fair reflection of much of the audience. Not only in the demographic he represents, but more importantly, in his attitude to social issues like race. He’s an everyman, so for him, and virtually everyone living in the western world, things like skin color, religion, and sexual orientation are simply irrelevant. The first episode, entitled, ‘The Woman Who Fell To Earth’, really gave me a lot of initial hope, as it was a pretty solid opener for a new Doctor. The next episode, ’The Ghost Monument’, was even better, with Whittaker being at her most Doctor-ish this season during the opening sequence where they had to jettison part of the crashing spaceship. Whereas the 'Rosa’ episode wore it’s messaging on its sleeve, but was really done exquisitely well. It was ‘Arachnids in the UK’ when the wheels started to come off the wagon, and even though anyone can have, 'a bit of a bad episode', as I said to myself, that became the trend rather than the aberration. In fact, by the time the final episode - the turgid 'The Battle of Ranskoor Av Kolos' - rolled around, the show had become so excruciating to watch, half the audience switched off completely, not bothering to return for the New Year’s Day special, ‘Resolution’, which, as it turned out, was one of the strongest episodes out of the bunch. By the time we got to ‘Resolution’ though, all that goodwill from fandom had nigh on evaporated. Which, to a large degree, was reflected in the series Rotten Tomatoes score (21% at the time of writing, and a scathing 15% for ‘Resolution’). 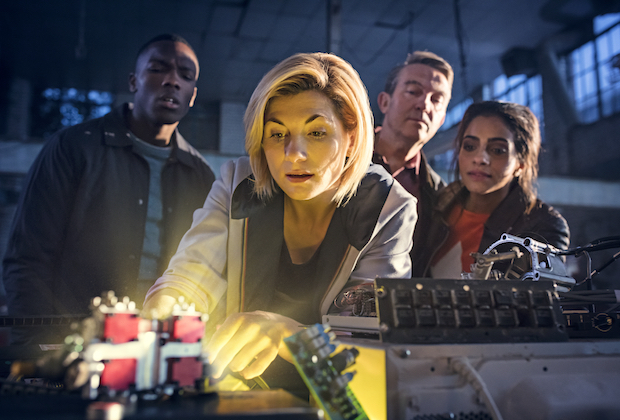 Jodie Whittaker’s unwise comments didn't help much either, as she disparaged ‘white men’ (and fandom in general), which the media spun into meaning that the audience simply adored Chibnall’s vision. But no, no they didn’t, as viewing figures plummeted around ‘Arachnids in the UK’ onwards, and it was fairly clear that this new vision of Dr. Who was roundly rejected. The conjuring trick of averaging out the viewing figures from the season was a painfully transparent attempt to deflect the worrying decline in audience. The worst of it is that the looney fringe of naysayers (who vocally jumped ship prior to the season debut) turned out to be right. Looking back, it’s hard to understand how I didn’t see it coming. I think it’s because I do so love Dr. Who and genuinely wanted the show to succeed. But come on! I should have got a clue when they slapped an LBGTQ+ flag on the Doctor’s chest, with less subtlety of a bull in a china shop. Again, I have to ask, who is Chibnall lecturing? Who has any problem with anyone’s sexual orientation? And will these people purposefully tune in on an annual basis to be preached at? When you drill down to it, here’s what I think is really going on: A couple of high profile elections didn’t go the way liberal, progressive folk wanted them to go, and now they honestly believe the sky is falling and it’s the end of the world. They believe that fascism and racism are coming out of the shadows into mainstream acceptance. Which is just nonsense! Again, do you personally know anyone like that? The crushing truth that these left liberal, progressive folk (who I’m sure Chibnall is one of) need to grapple with, is that Graham is the type of person who could very easily have voted for either Brexit or Trump. Deconstructing this onion another layer, we then come across another tragic failure: The wasted opportunity to make a female action hero role model for a generation. Whittaker's Doctor just isn’t that heroic. She’s more of a bus driver for the gang, and pretty ineffective in dealing with, well, just about anything. This Doctor virtual signals, rather than being virtuous. Compare how the Doctor dealt with Ryan’s father in ‘Resolution’ to how Graham did. Whittaker’s Doctor rushes to judgment and pompously tells him off, achieving nothing but virtual signaling. Graham, on the other hand, who has far more reason to have animosity towards Ryan’s Dad, is able to push that to one side and listen to him, and in doing so, helps bring out the best of his character. You know, the sort of thing the Doctor should be doing. “I gave him a chance,” she yelps about the Dalek, before everyone else manages to deal with it with a microwave (really, Chibnall???) as if screaming, ‘LOOK AT ME, LOOK AT ME!!!! I’M SO VIRTUOUS”. Other Doctors didn’t care if anyone saw them standing up against evil. The way Whittaker is playing it, though, seems as if that’s all she cares about. The hero’s journey has been mostly taken up by Graham throughout the season, and so, at the end of the day, we still have a male-centric show, utterly failing in their core mission statement on every level. What's really going to be telling is the merchandise sales. Admittedly, this may purely be anecdotal, but there are LOTS and LOTS of the 13th Doctor merchandise sitting on shelves gathering dust, and the few retailers I’ve spoken to, have told me that they’re not moving anytime soon. 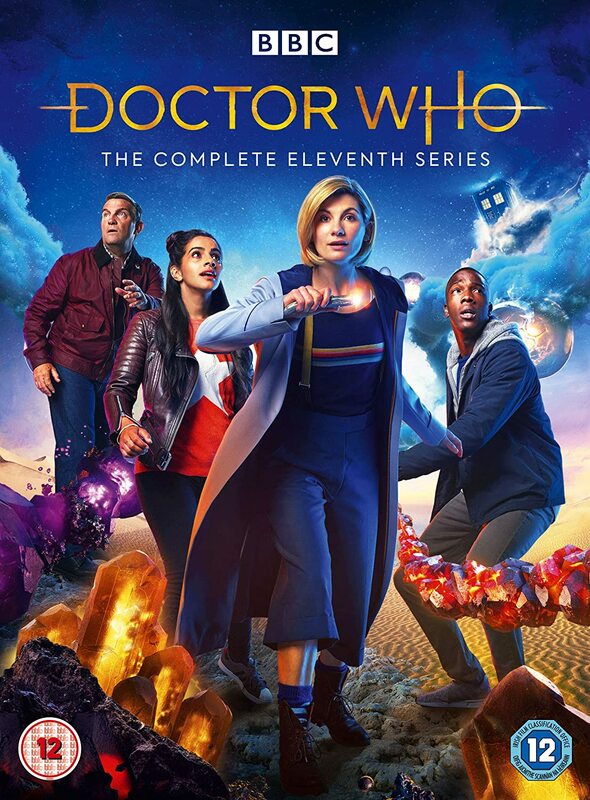 As a matter of fact, this will be the first time I won’t be buying a season on Blu-Ray, simply because I can’t imagine ever wanting to rewatch any of the episodes. I’m far from an expert in the mechanics of modern television production, but from what I’ve read, the ancillary income from these sales are vital to the show’s budget. The one thing the last few years have demonstrated is that when people do something stupid, rather than having any form of mea culpa, they’d rather double, triple, and quadruple down on stupid. 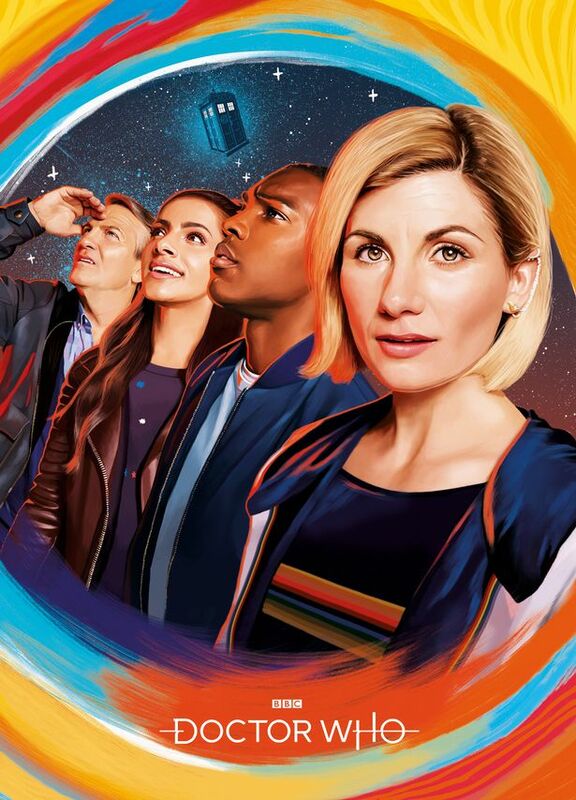 The BBC may well say that Dr. Who has had its day, rather than admitting they’ve made some mistakes, and then we’ll be back in the wilderness years again for however long it might be this time. 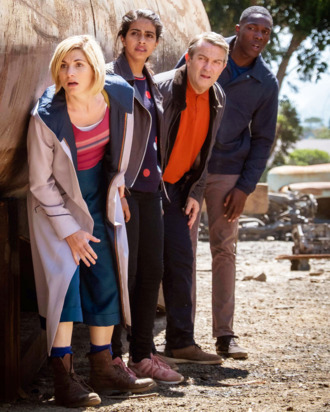 I'm getting the feeling that there may be some rethinking in the background going on, and at a guess, our best hope is that they pack out season 12 with lots of monsters (which as we saw from 'Resolution', at least made the clunky political messaging more bearable to take in). 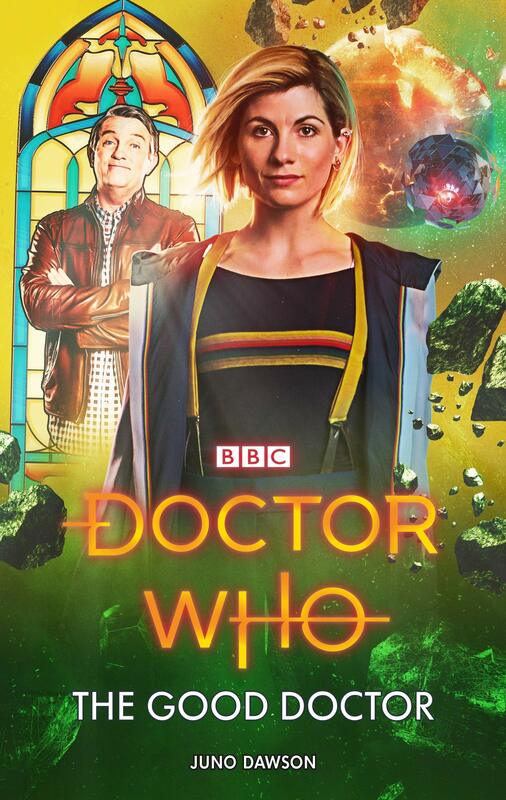 Hopefully, by then, Chibnall will move on to another high horse to lecture us from, in order for us to survive season 13 by the skin of our teeth. But who knows? This article was brought to you by Tzvi Lebetkin, who's the top rabbi over a biblicalcomix.com. When you have the time, please feel free to check out his website, facebook, and twitter pages.